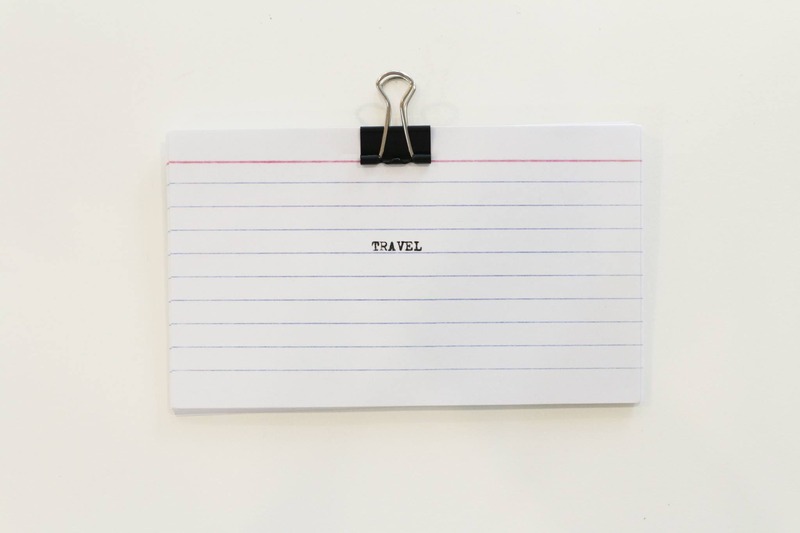 “The Traveller is not a Tourist.” Orn Thongthai’s TRAVEL zine explores the intimate notion of travel from the very act of travelling itself to the components that make up the journey and what one might encounter or be thinking about when travelling. 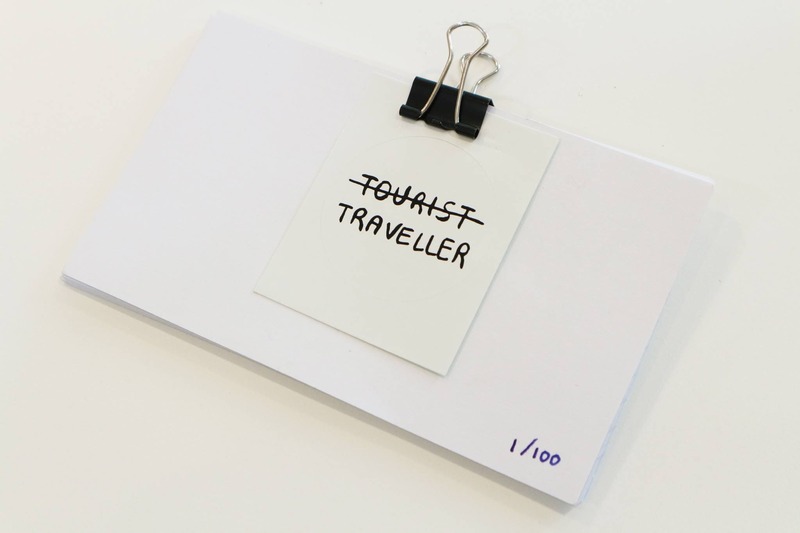 TRAVEL, in its loose pocket card form, can be rearranged according to each reader, each card coming lose from its metal clip allowing the “journey” be customised suggesting the fluidity of the journey itself, each one unique, each an unknown adventure. 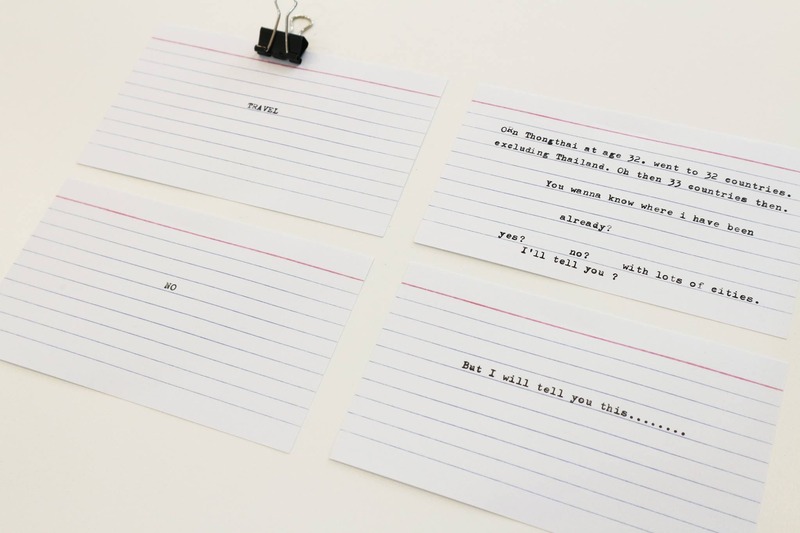 Orn Thongthai contemplates the notion of travelling which is a core element to her practice as an illustrator and artist by typing a note on each card with her trustworthy typewriter. 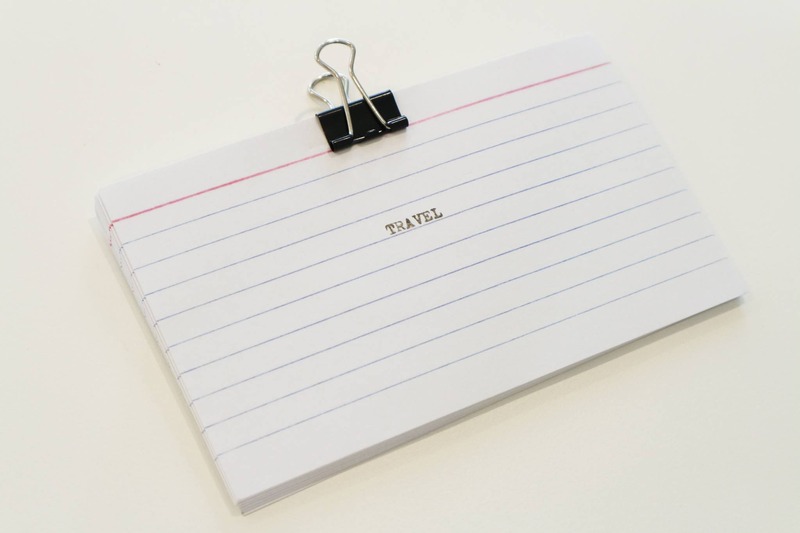 The typewriter creates a permanent mark on the card, much in the same way that each journey creates a mark on the traveller. Two stickers reminiscent of souvenir stickers that might end up on a suitcase accompany each edition of TRAVEL. Bangkok, Thailand : Self published, 2017.